One issue that persistently divides autistic self-advocates and their critics is the value of seeking cures for autism, and I believe part of the reason this is so misunderstood is that care and cure are conflated. Today I'm going to address this distinction and try to clarify the rejection of "cures" by the autistic community. "Cure" derives from the traditional medical model of disability, which can be summarized as the belief that people whose differences prevent them from participating fully in society need to change, or be changed, to fit society's expectations. This is is contradicted by the newer social model of disability, which proposes that society can be more flexible to accommodate people with differences. For example, if someone can't walk and uses a wheelchair, there are two ways to help them be independent. Under the medical model, the solution is to cure the condition so they can walk. Under the social model, the solution is to provide curb cuts and elevators so they can travel independently. 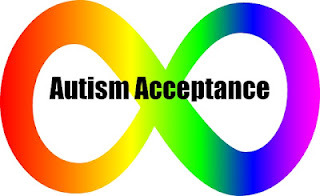 In the context of autism, you see this application of the medical model of disability when professionals and parents say that autistics will be miserable unless their autism is "cured" or that autism is such a "devastating disorder" that we must work to prevent future children from being born with autism. Deconstructing this would take a whole blog post, so let's just get to the point of today's blog: the false dichotomy of "curing" autism vs. autistics attaining a reasonable quality of life. This is where the conflation of "care" and "cure" are problematic. There are no "cures" for autism; however, there are many ways to provide care for autistics that improve our quality of life and maximize our development over time. "Care" simply means providing support to make differences less problematic, acknowledging that the person will still be different, even though their functional capacity may improve over time. This is consistent with the social model of disability and the principles of independent living. Caring for someone autistic would mean teaching skills they don't automatically learn, finding compensatory strategies for sensory issues or areas of reduced skill, and providing assistance for tasks they can't do on their own. And if they have comorbid medical conditions, care includes treating the medical conditions instead of blaming them on the person's autism and assuming that the only solution is to "cure" the autism. Certain health problems that seem to be common in the autistic population, such as seizure disorders and digestive issues, can also seem to worsen the severity of autism symptoms. Often, parents who treat the medical issue and see improvement claim this "cured" the autism. Relieving these medical issues allows them to interact with the environment more effectively, but they are still autistic. However, if an autistic does not have seizures, anti-seizure medication is likely to give side effects without benefit; if they don't have celiac disease or related digestive issues, a GFCF diet would be expensive, stressful, potentially nutritionally-deficient, while offering no benefit. Parents who spend their time and money seeking to "cure" their child's autism could be spending that time on better care that would help their child develop to their full potential, even if that potential may not be what the parents expected. For example, many parents chase so-called "biomedical cures" to "recover" their children because they assume, for example, that the right combination of chemicals will reverse the autism that prevents their child from speaking. (Today's not the day I'm addressing the issue of subjecting children to untested and often painful treatments.) These treatments are often costly and time-consuming, but because they offer the illusory hope of a "normal" child, parents will often pursue these treatments rather than finding other methods of communication. Many autistic children (and adults) communicate successfully by methods other than the spoken word. One simple but successful method is the Picture Exchange Communication System (PECS), which is based on cards with pictures. This is the predecessor of various Augmented and Alternative Communication (AAC) devices that can speak for the user. The main drawback of the original systems was their bulkiness and expense, but this has been mitigated somewhat in the adoption of the iPad by many families. It might not be "expected" social behavior to walk into a store, a restaurant, a doctor's office, or even a job interview with an iPad that talks for you, but if it works, society can just broaden its expectations. This technology could even be useful for people without autism, much the way people have come to expect curb cuts when they have strollers or rolling luggage. Imagine not having to stress a sore throat by talking because it's no big deal to just open a talking-app on your smartphone or tablet. Imagine being able to speak this way if you lost your speech abilities after a stroke or injury. It might be slow compared to just speaking naturally, but it would give you more independence than not speaking at all. I don't think we need a laundry list of autism manifestations and how to apply principles of "care" to each one instead of "cure." My point is that parents who apply the medical "cure" principle to their relationship with their autistic child will be much more frustrated than those who apply care principles. They may very well create a self-fulfilling prophesy that their child will be unhappy--because the parents have forced unnecessary medical treatments and treated them as a burden and a disappointment. Many parents and their children are enjoying the benefits of doing the best they can with what they have, even for children who are severely affected. Many autistic children have great joys in life, whether or not they do everything non-autistics do--and the same with autistic adults. One of the biggest obstacles for adult autistics is prejudice based on ableist assumptions. We face prejudice and offense taken about things we do not do maliciously, such as flapping or failing to recognize people, and the assumption that anyone who needs care and support after childhood is a failure. 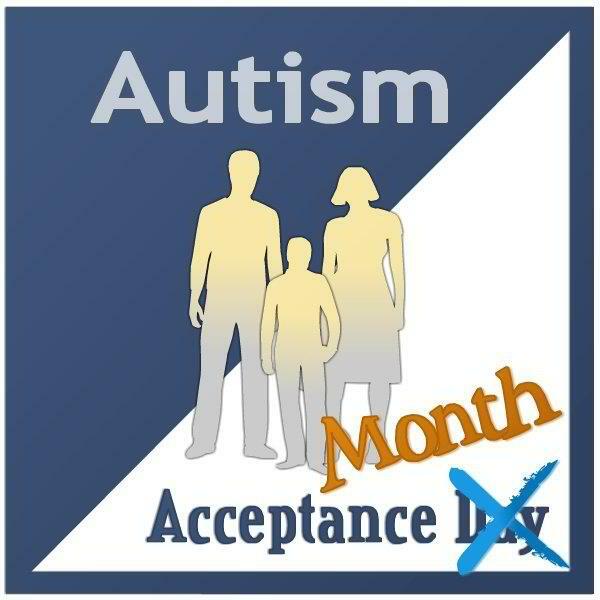 Fighting this prejudice is the core of Autism Acceptance Month, rather than Autism Awareness Month. Although the group that widely promoted the worst stereotypes about autistics in the name of "awareness" has toned down some of their rhetoric, most of what the public thinks about autism and autistics is still very negative. We are still "othered" because of our differences from the social norm. Those promoting the "cure" agenda use our differences against us to raise funds for a "cure" or to prevent us from being born. Previous generations were hidden in institutions or in plain sight as the weirdo who got bullied. Until society sees autistics as people with differences who need social acceptance and perhaps some degree of care, rather than as poor broken people who need to be cured, autistics of all ages will face difficulty in living the best lives they can. I had my first attack of (AUTISM) when I was a kid, I wasn't diagnosed until seven years later when I was totally experiencing speech delay. It was so terrifying that I began dropping things and losing sensitivity to sounds, having severe fatigue and muscle weakness. A horrible poor eyes contact began. I sometimes can't walk straight and fall onto walls and I get leaning disability, the English medications i used proved abortive. i was so frustrated that i had to contact My neurologist,he told me about a new RRMS (relapsing-remitting MS) drug which was only in its trial stage, CAMPATH. I started the chemo-type treatment and some prescribed drugs like: RISPERDAL, EFFEXOR XR, GEODON and MEMANTINE. which resulted in 1st seizure of my life, thereby adding more salt to my injury. As a result to proffer solution to my problems, i started going online in search for a cure, i came across a testimony of a woman who got her cure through HERBAL MEDICATION, at first, i doubted because of the misconception that autism can not be cured. But i later contacted the Doctor through the email provided, and I used his Herbal product, after 1 month of use, I noticed tremendous improvement in my health, 5 months after, I can proudly say, I've been totally cured by Dr.williams Herbal Medication from AUTISM..., If you have the same health issue, you may contact him for a total change of story, Via:autismepilepsy.blogspot.com . I believe your predicament will be a thing of the past just like mine.